Dept. 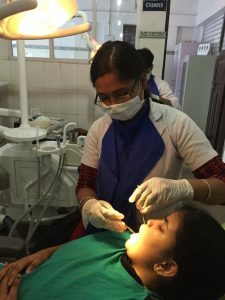 of Public Health Dentistry along with 40 Dentists of Sarjug Dental College and Mata R. Devi Dental Hospital from Darbhanga, Bihar, India, conducted a health check-up campaign on ‘World Cancer Day’, wherein most patients(1,291) were screened for Oral Cancer and were also given awareness about the side effects of tobacco, February 4, 2016. Comments for LARGEST ORAL CANCER SCREENING are now closed.